With temperatures on the rise in Phoenix and swimming season upon us, here are some swimming pool maintenance tips on how to keep your swimming pool clean and its equipment functioning at its best. You can also spare yourself the expense of having to pay a Phoenix pool service company to maintain it for you. These swimming pool maintenance tips will help you to prevent some common problems that most Phoenix homeowners run into when trying maintain their pools. Bermuda grass is a perennial grass that loves the warm sunny climate of Arizona making it the top choice for Phoenix lawn landscaping. 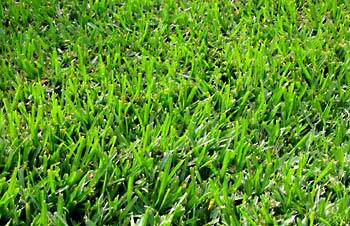 Bermuda Grass grows easily from planted seed or sod and its creeping growth pattern provides excellent coverage. Maintenance and mowing of Bermuda grass is moderate adding to the benefits of using this grass for your lawn. Proper transitioning will allow you to spend more time enjoying your lawn and less time maintaining it. All varieties of Bermuda grass turn straw-colored and become dormant during winter months. Bermuda grass recovers rapidly in the Spring and begins producing shoots when nighttime temperatures remain above 60 degrees for several days and the soil reaches a temperature of 65 degrees at a depth of 4 inches. It generally takes 80+ consistent day highs in temperatures to achieve this level of temperature in the soil. Ryegrass is typically used in Phoenix landscaping for the winter. To ensure the full and rapid re growth of Spring Bermuda you should accelerate the death of Ryegrass by letting it dry out in early May. Two weeks without watering is usually sufficient to kill the Ryegrass. After the Ryegrass has turned brown, resume watering to encourage the Bermuda out of dormancy.